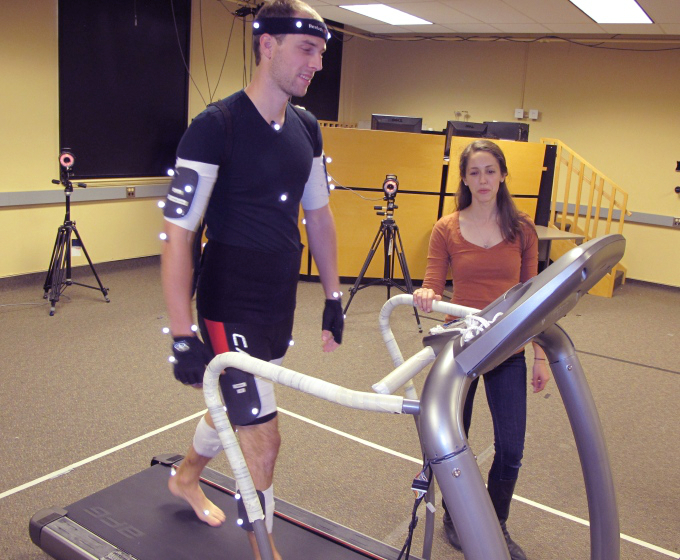 We are equipped with a Qualisys Motion Capture System consisting of an array of 21 CCD high speed cameras. The system is capable of tracking an array of small, reflective markers attached to the body of humans in real time. It is set up in a 90 m2 room providing enough space for complex human motions to be recorded.